Lowara guarantees high quality, reliability, cost-effective pumping systems, maximizing efficiency in order to satisy customer's needs at best. 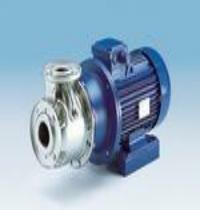 Lowara pumps are manufactured in AISI 304 and 316 fabricated stainless steel, that covers many applications from water to some clerical compositions. This innovation confirms Lowara to be utilising top class material to achieve excellence and guaranteed performances. "The " is continuous process with reviewes of our internal procedures according to the new ISO9001:2000 (VISION 2000): MEASURE - ANALYSIS - IMPROVEMENT to guarantee customer's satisfaction. Please fill in only the fields your application requires. Take a look to 2004 EUROPEAN Advertising Campaign! and receive info and advice from Lowara about special events, new products, new documentation, share with us our success, plus much more...! Do you want to help us to improve our service through this web site? Then pls, let us know your opinion: did you find easily the information you needed?